You decide the style, we add the details. The style of furniture in a house, right down to the smallest details, shows the identity and personality of who lives there. At Bottega del Legno we completely understand this and work hard to make you happy. If you have clear ideas about the style you want for your home, we will take care of the details. We will make every single area unique, creating stylistic and functional attractions in every room. We will study the structure, size and characteristics of furniture to create a harmonious and easy to live in home. Our designers will maximize colours and lighting to enhance the best elements of each piece of furniture. If your ideas are still a bit confused, we know what to do! We start with a blank sheet of paper, we discover your tastes, your needs and analyze the current limitations. In this way we create a solution to your needs. You can take inspiration from a selection of apartments which have already been made by us. Materials, colours, compositions, atmospheres: every part is combinable, to create the right mix of styles requested. If you too love wood as we do, at Bottega del Legno we will find the right chemistry to create an environment to fall in love with. Write to us, tell us about your projects and together we will find the best solution in order to create them. In Valdisotto we realized a mountain chalet-style apartment where the main features were the planks of old evaporated spruce running continuously throughout the apartment. It was a work of pin-point accuracy, both in the design and installation. Every door, every finish and every floor has been designed to give the feeling of continuity, which enhances the original nodes and splits of the wood, giving a very natural environment. Drying gives the wood a uniform colour that recalls past settings; a natural colour that reflects its warm tones throughout the room. 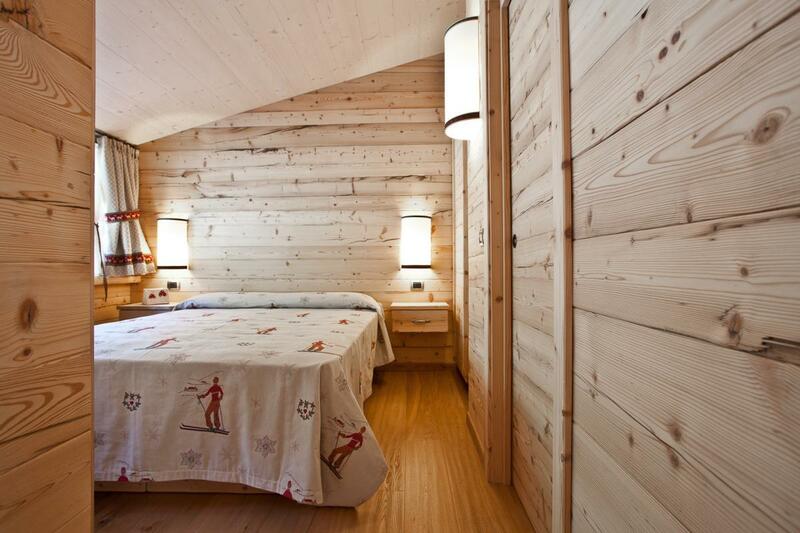 The ceilings were made of bleached spruce: white enlarges spaces and makes them brighter. If you look at the floors of the rooms, you can see the hand-planed oak: this technique allows you to create a three-dimensional wave texture which gives out a great sense of well-being, especially when you step on them barefoot. The living area has been furnished with modern and sinuous lines of furnishings, to create the right contrast and enhance the wood grain. If you like mountain-style furnishings, see our dedicated page.